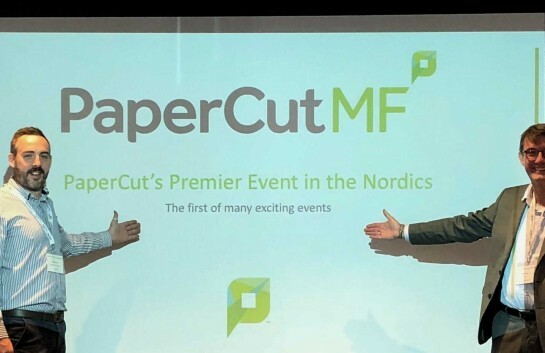 The newest release of PaperCut MF v15.2 is now available to download from the reseller portal. For existing installs, you can obtain the update via the About Tab. This new release includes a free license for the Site Server feature that was first seen in 15.0 under the Early Access Program. What do you need to know about Site Servers now they are out of EAP? 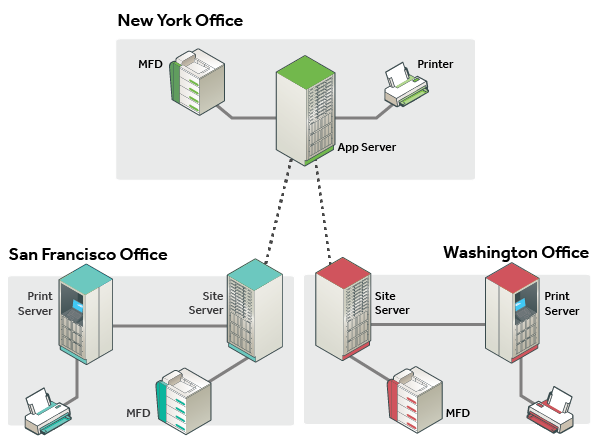 You can read all about Site Servers on the Tour page or in the Manual. You no longer need to complete an EAP form to request a site server license. After six months of testing at 100’s of sites worldwide the development team at PaperCut are delighted for Site Servers to be used by a wider audience. 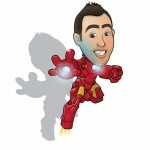 From now on a single Site Server license will be included with all PaperCut licenses sold. Adding additional Site Servers will require a license. The Site Server costs are capped at 50+. If you require 50 or more Site Server licenses, then please get in touch. Our pre-sales team would love to discuss the opportunity and help plan the rollout. For Site Server costs, be sure to check out the updated online quote system. The PaperCut MF v15.2 release also has full support for a bunch of new Operating Systems, Windows 10, OSX El Capitan and for those of you who use Linux, support for systemd (as used by many modern distros of Linux). Very few issues were reported on Windows 10 (a testament to PaperCuts quality) but, it is nice to officially support it. Top Tip – Anyone upgrading an existing installation of OSX with PaperCut MF v15.2 will need to re-run the control print monitoring command. On top of the new OS support, PaperCut now works with Adobe Reader DC for Web Print. Never one to rest on their laurels, the UI team at PaperCut have been busy re-working the workflow for Printer Group management. It is now easier than ever to assign printers to groups, building on this you can also use the new groups while filtering or running reports. If that was not enough, there is also the usual host of enhancements and updates to the core product and a few minor embedded changes for multiple platforms. The full release notes can be seen below, be sure to check them out. Added support for grayscale filters on Kyocera KX XPS drivers. Improved migration of Kyocera devices when relocating device from Application to Site Server. Improved migration of Konica Minolta devices when relocating device from Application to Site Server. Resolved an issue that could result in a failed deployment on some Konica Minolta Embedded devices. Print Groups: Fixed an issue when using Print Groups on the “Group – print/scan/copy/fax – breakdown” report which would previously fail to run. Fixed a rare issue causing a customer’s new license reverting to their old license some time after uploading to their installation. Improved installation process to prevent users being asked for SMTP Server details. Fixed a problem that caused job logging to stop after an extended database outage. Fixed a rare issue on DMP9 version machines which would occasionally result in users log in failing intermittently. Fixed rare login failures for customers using multiple authentication methods and account confirmation. Improved handling of long card numbers with magnetic card readers. Added support for Elatec readers TWN3/TWN4 for C5565dn and 7765dn models. Improved detection of copy/scan/fax jobs in progress before logging the user out. Added the ability to track Ricoh Integrated Cloud Environment (ICE) print jobs. Account confirmation screen buttons now support linking to machine bookmarks or additional MFD functions. Improved the display of Japanese and double-byte characters. Allow print release when using anonymous authentication. Improved security of user information in log files. Added support for additional languages. Added support of Send and Print. Improved reporting of colour scan jobs. 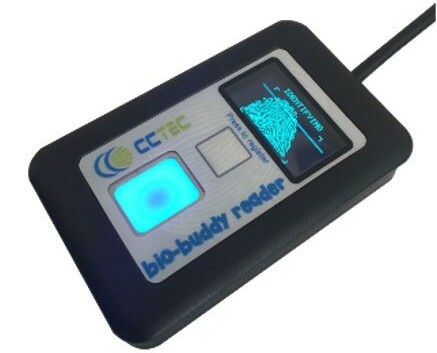 Add barcode reader support for selected devices. Added additional language support for authentication messages.